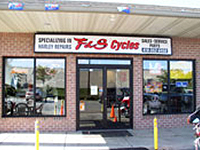 F & S Cycles in Eldersburg, Maryland is just minutes from Baltimore MD. 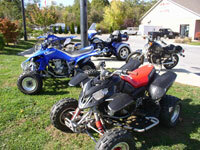 F & S Cycles services all makes and models of motorcycles and ATVs and also has a great selection of used motorcycles, 3 wheelers and 4 wheelers for sale in the showroom. 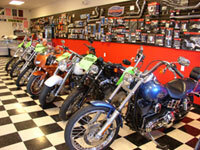 Be sure to browse our Motorcycles For Sale / Cars & Trucks / Parts & Gear buttons above to see some of the selections now available for sale. 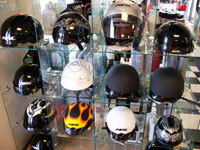 Inventory can change daily so be sure to call, Email or stop by if you have any questions. 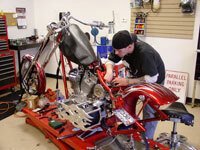 The parts and accessories showroom has parts to work on your own motorcycle and all the gear you need including tires, helmets, gloves, clothing, batteries, LED lighting, drag pipes, pegs, saddle shields and more by brands like Kuryakyn, Drag Specialties and V-Twin. 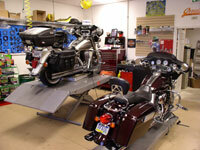 Our showroom is convenient to Randallstown, Reisterstown, Glyndon and Owings Mills in Baltimore MD, Ellicott City, Columbia and Clarksville in Howard County and Sykesville, Mt Airy, Westminster, Finksburg, Taneytown, Manchester and Hampstead in Carroll County.